The next time you start a crochet project with a round center, the magic circle technique may be exactly what you need to keep the center closed up tight. This method, which is also called the magic ring or magic loop, is great for amigurumi projects. It's also helpful for starting other patterns that start with a circle, such as a granny square. Often, projects that have a round center or starting point begin with a few chain stitches joined together to form a ring. Then you work the first round of stitches into the center of the ring. This works, but it leaves a small opening in the middle. With the magic circle, you can pull the end of the yarn like a drawstring and it closes up that opening. In fact, depending on the yarn you're working with, you can usually use more stitches in that first round than with a standard ring. Many patterns tell you when you should use a magic circle, but you can try it with other projects that don't recommend this technique. The results will look a little different, but that's okay! 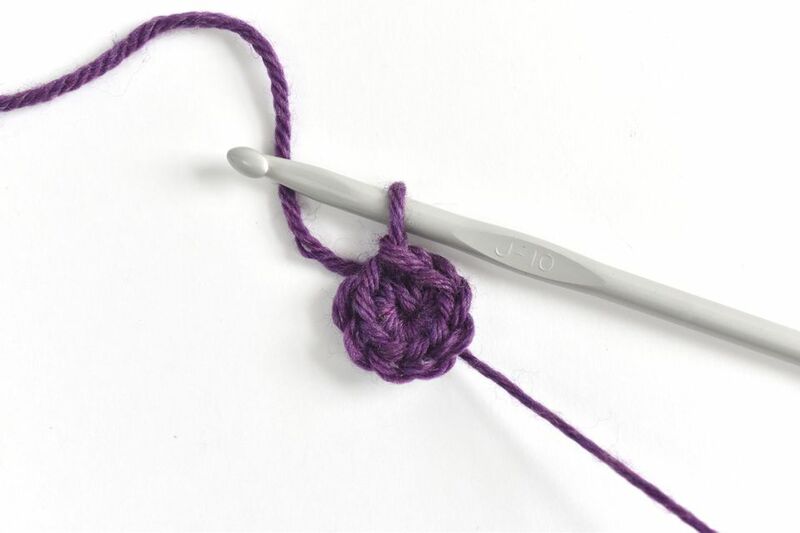 Note: These instructions use US crochet terms and show the right-handed method. 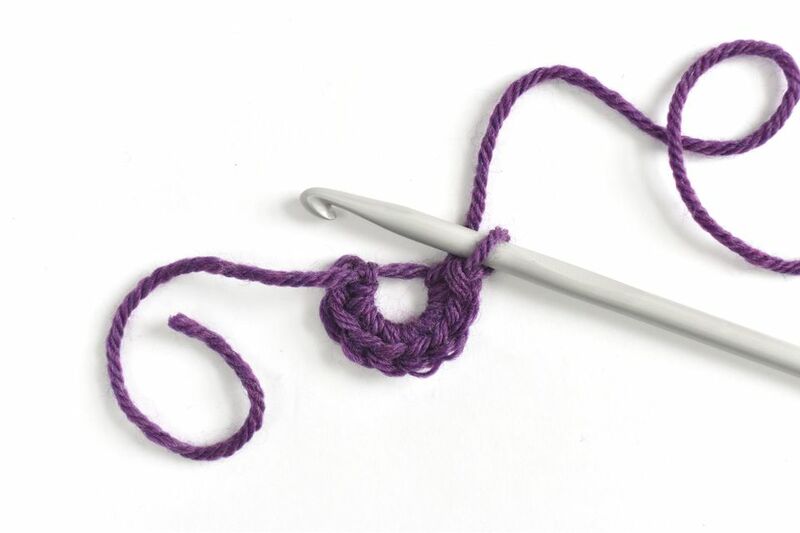 If you crochet left-handed, flip the starting loop formation, then use left-handed movements working clockwise for the rest of the tutorial. Loop the end of the yarn in a lowercase "e" shape. The yarn that's coming from the skein should cross over the loose end. It may help to hold this in your hand as you make this starting loop, so you're ready to continue in the next step. If you're left-handed, flip this to a backward e with the working yarn still on top of the yarn end. While holding the loop in place, insert the hook in the middle of the circle of yarn. Wrap the working yarn over your hook from back to front. This is exactly like any other yarn over. Draw the yarn up through the circle. This can feel a little awkward at first because the circle is loose. Hold the crossed point of the circle as you draw up the loop of yarn and it will hold. Continue holding the circle of yarn as you make a turning chain. Draw the hook through the loop on the hook to complete a chain stitch. This tutorial shows how to start a magic circle with single crochet stitches, so this first turning chain only needs one chain stitch. If you're starting with other stitches, use the number of chains needed for a turning chain with that size stitch. Now it's time to start your first single crochet stitch. Insert the hook into the center of the ring, yarn over, and draw up a loop. Yarn over and draw the yarn through both loops on your hook to finish the single crochet stitch. At this point, your starting circle of yarn should feel a little more secure. The loose end can still pull and move, so make sure you don't tug at it while you work. Work as many stitches as needed for the pattern you're working on. The ring may be quite open, but that's okay. Pull the end of the yarn to start tightening the ring. This brings the turning chain and last stitch closer together. Join the circle with a slip stitch. Close the circle the rest of the way by pulling the end so it's as tight as you want it. Because this technique allows you to tighten the middle, it also makes it possible for the center to loosen. Be sure to secure the end of the yarn well so your work doesn't start to open up with use.